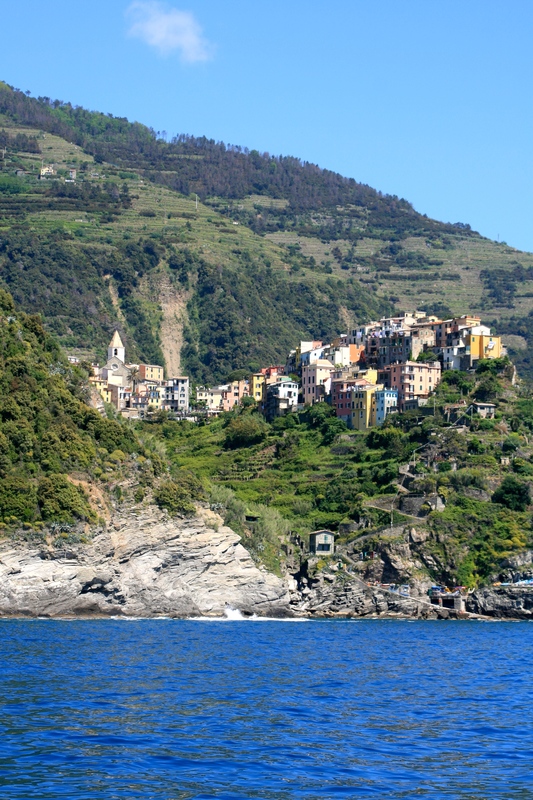 Many people rave about the Cinque Terre that you may wonder whether you might end up being disappointed when you visit. Sometimes places just do not live up to their hype. 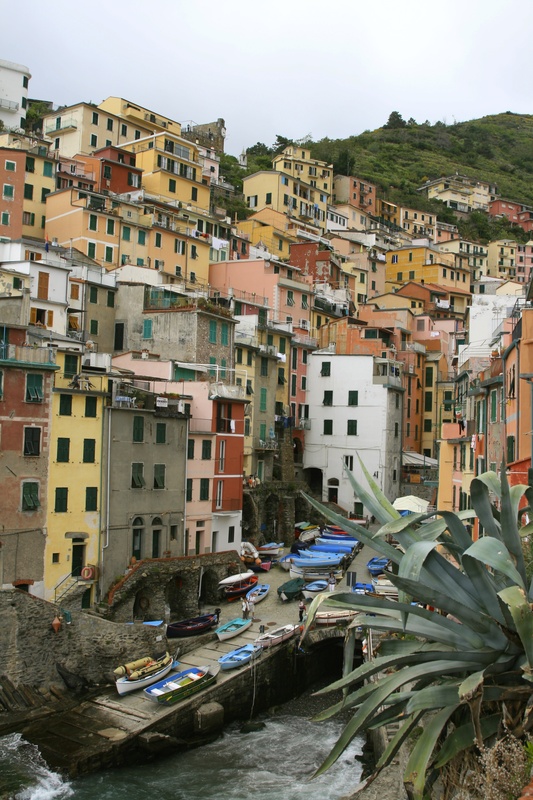 This is not the case with the five villages which make up the Cinque Terre. 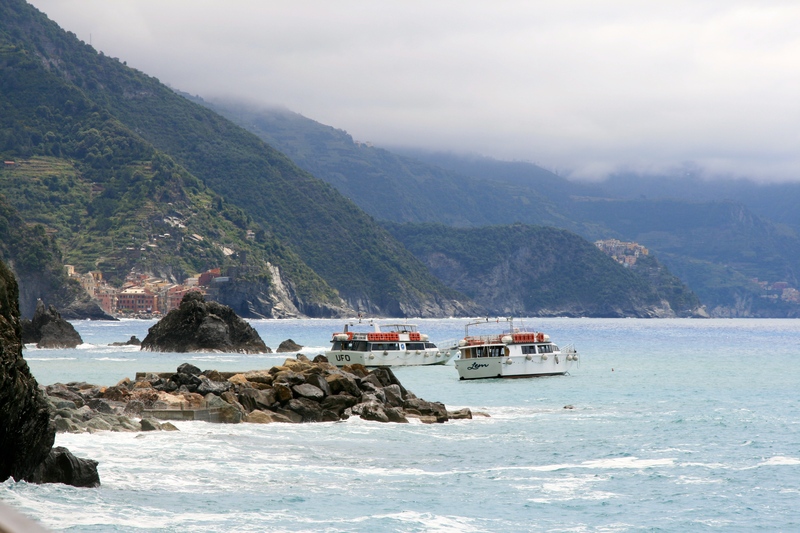 As the sun glistens on the sea, the waves break on the bow of the small ferry taking you from Monterosso al Mare to one of the other villages, you cannot help but stand in awe at the natural beauty of this place. The sea is a beautiful dark blue, the cliffs are dark grey making them all the more dramatic and in the background you see beautiful greenery and vineyards and you wonder how this all came about. It is difficult, if not outright impossible to list what the must see destinations are in Italy. If you do not live there, the only way to go about it is to return time and time again to different parts to savour it all in. Many times, it all depends on what you would like to do and see. Whether its city trips, a mix of city and countryside or else spectacular scenery, there is a choice for pretty much everyone. There is, however, something spectacular about the Cinque Terre which makes them one of the most well known destinations in Italy. The “Five Lands” which is the literal meaning of CInque Terre in Italian comprises five villages: Monterosso al Mare, Vernazza, Corniglia, Manarola and Riomaggiore. 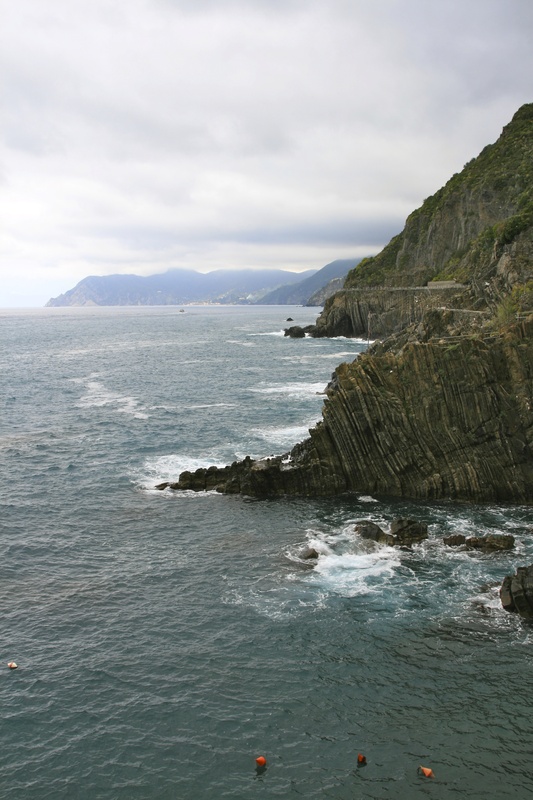 The coastline, the five villages and the surrounding hillsides are all part of the Cinque Terre National Park. When you go there you will realise why it is also a UNESCO World Heritage Site. The Ligurian coast might not be as spectacular as the Costa Amalfitana but it gives it, in my view, a very good run for its money. The Cinque Terre is a must visit in any case. With villages perched over cliff-tops, or accessible only by train, sea or on foot this is really a special pal e.
Both if you are at sea or looking towards the sea the views are nothing short of breath-taking. 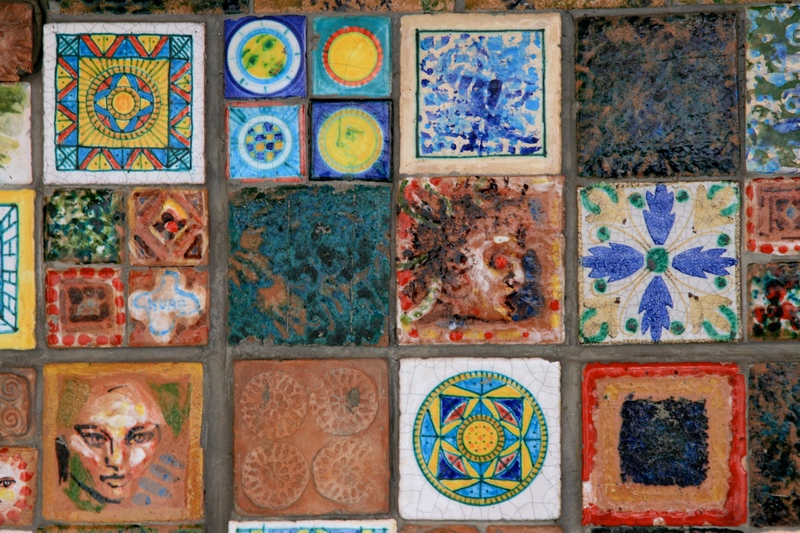 There are many ways to approach the Cinque Terre. Many people head there for a day trip from Tuscany or some of the main cities of Italy. This is a great pity because Liguria has so much to offer. 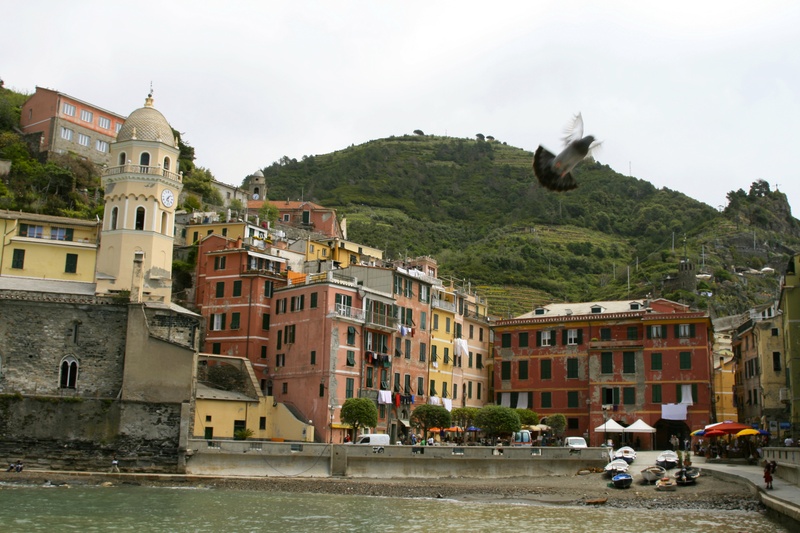 The first time we visited, the Cinque Terre had been hit by deadly floods which caused devastation and havoc in some of the villages, particularly Monterosso and Vernazza. The marks of the flood where still visible when we visited. 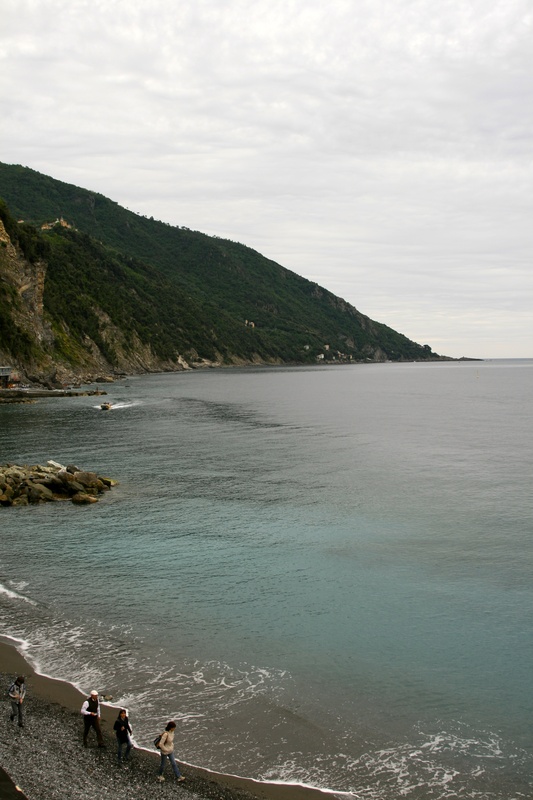 There are four ways to get to the Cinque Terre. The best option is probably by train. The train ride which goes from Genova to the Cinque Terre and keeps going to La Spezia is spectacular. In many places you will be literally within a stone throw away from the sea. The views are great. If you are staying in any of the coastal villages or towns (check out my post on Sestri Levante) you will be able to catch the train to the Cinque Terre. 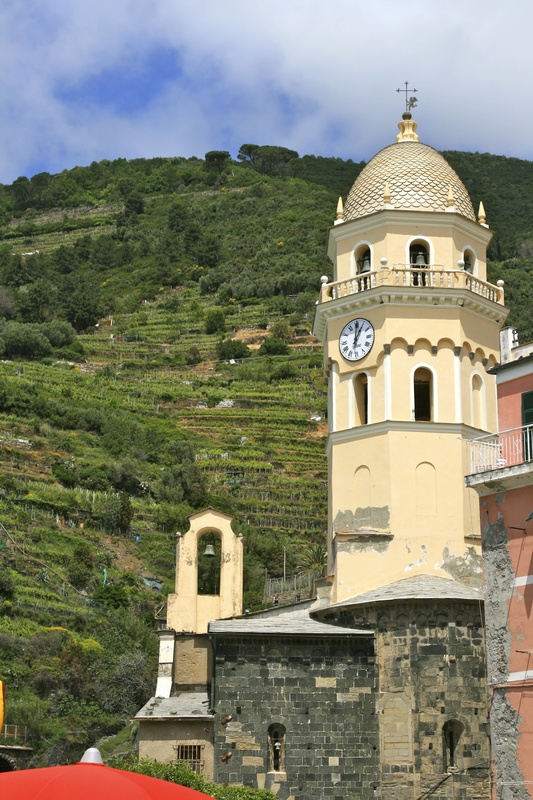 In that case, I would recommend that you stop in Monterosso, visit this first village and then take a boat-ride to Riomaggiore which enables you to see the villages from the sea. This is clearly one of the highlights. Another option would be to take a boat ride from Sestri Levante or Porto Venere at the other end of the Ligurian coast. 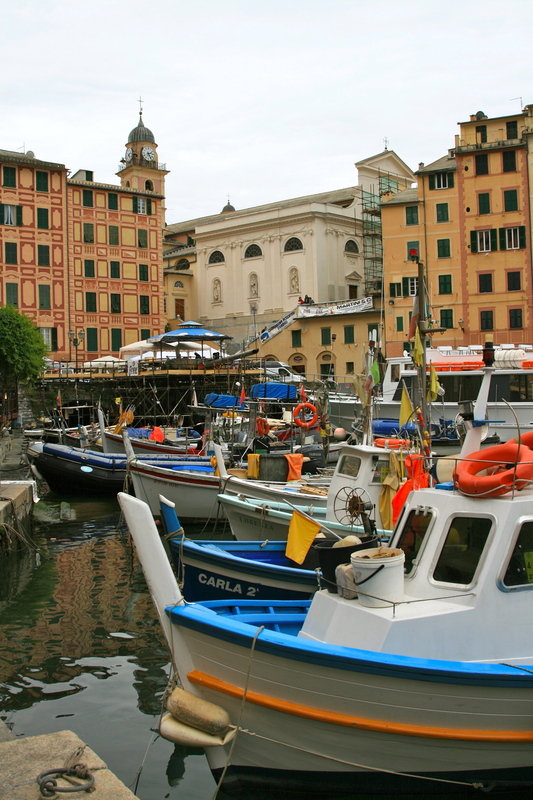 There are also boats from the harbour of Genova and La Spezia. We are told that the views are amazing. Unfortunately, the two times we visited the boat rides were not operational because of the rough sea. The third option, once you get there, is to walk from one village to another. 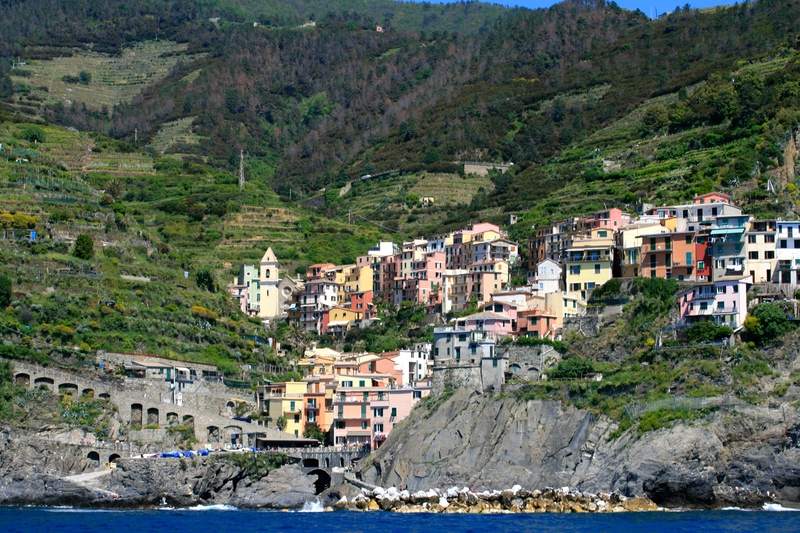 The Cinque Terre are in fact famous for a walking trail called the Sentiero Azzurro which connects the five villages. Given that most of them involve climbing or going up stairs, we have unfortunately not walked the trail or parts of it yet given our children are still too young to walk the whole way. The other option is to go there by car. But this is not recommended. First it is not easily accessible and you will only be able to reach a few of the villages. Parking is not cheap and easy to find particularly during peak season. The villages have been built over the centuries by people who carefully built terraces on the rugged steep landscape right up to the cliffs that overlook the sea. One of the allures of these villages is the fact that they are not ruined by commercial interests and while paths, trains and boats connect the villages, most of them are not reachable by car. The wines of the Cinque Terre are very special. You can see why from the photos because the terrain is very rough and the vineyards are on cliffs which go down to the sea and the wines produced therefore have exceptional minerality. The grapes are Bosco, Albarola and Vermentino. These grapes are used to make the Cinque Terre wine as well as the Sciacchetra which is a really special sweet wine. One recommendation if you are in the Cinque Terre is to try the Sciacchetra as an aperitivo. Sip it while enjoying great views. Life doesn’t get much better. Moneglia is a place that we have missed on our two visits to Liguria mainly because it is rather complicated to get there by car. It is located between Sestri Levante and the Cinque Terre and is accessible through a one-lane tunnel. We were told that if you miss the tunnel crossing, you will have to wait for a rather long time before the traffic lights turn green. So we avoided heading there to eat in the evening. Ah, what a mistake that seemed to have been. It seems to have been a pity given a restaurant there that has been reviewed by the Financial Times Magazine today. The restaurant, La Ruota seems to be one of those unmissable places. It has a view to die for, a wine list of unbelievable depth at incredible prices and amazing food according to Nicholas Lander who wrote about it in Financial Times weekend. Reading about it here is enough to make your mouth water. This video reminded me of our honeymoon in Japan. Here you will see how sushi should be eaten. Here you get an explanation of how to eat sushi including the fact that you should not use chopsticks. This is a very interesting article about restaurants changing menus and clients not being able to order what they were expecting to order. I’ve written about French food and the new law in this blog. Here is an article from the New York Times in which Mark Bittman opines that the law will not really address the issue. Here is an interesting book review about Umani, a taste which we cannot describe but which is essential to our food enjoyment. And lastly, Carlos Slim, the Mexican business mogul this week suggested controversially that we may have to work a three day week in future but continue to work up to 75. Here is Richard Branson’s take on the matter. And finally, thanks to Franklin for sending in this link about a splendid sounding herb garden in Flanders. This seems to be a must visit for foodies in Belgium. 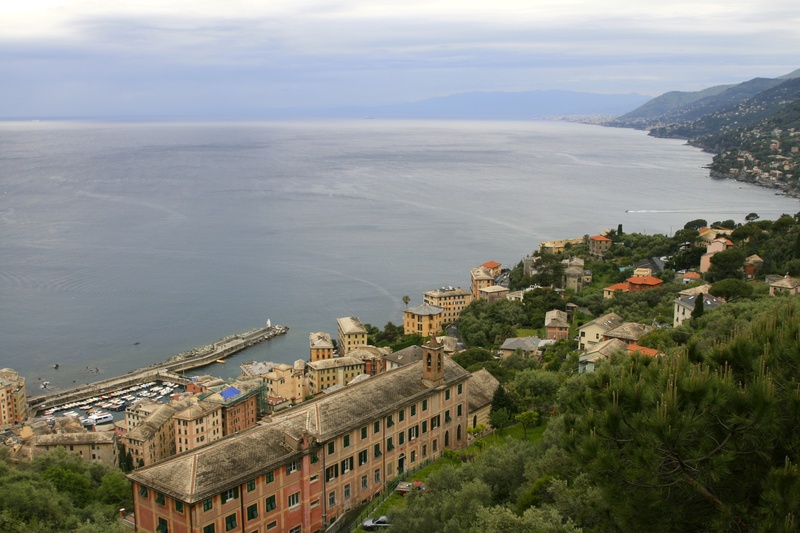 The first time we visited Camogli, we missed this fishing village, it is so hidden. The GPS in my car, normally reliable, took us to a hill whereby we could observe a superb view of Camogli and the Ligurian coast but couldn’t spot the way to get there. After some time driving around we finally discovered that we needed to take a narrow street down towards the village centre. What we then discovered was amazing. Parking may be difficult depending on the time of year you visit but don’t be discouraged. It is really worth your time. Camogli (Camuggi in Genoese dialect) is a small Italian fishing village and tourist resort located on the west side of the peninsula of Portofino, on the Golfo Paradiso at the Riviera di Levante, south from Genova. The name means “house of wives” ( casa delle Mogli ). 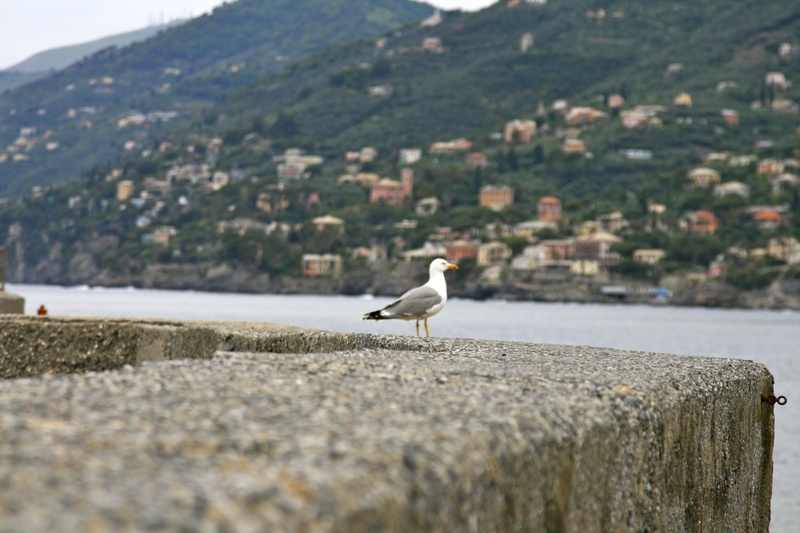 We visited Camogli twice in May and another time in June. Both times the weather was great so people were eating out in the terraces with a splendid view either of the coastline or the tiny but colourful fishing village which bustles with activity. It is said that the fishermen of the village painted the houses in this manner to ensure that they could spot it when they were returning back to the port after their fishing trips. This makes for a great vista as you can see from the photos. The maritime museum is also worth visiting though not easy to find. For a Maltese, this museum is special because it has paintings of a well known marine artist Nicola Cammillieri, active during the first half of the 19th century who painted beautiful ship portraits both entering the Maltese Grand Harbour as well as in other Mediterranean ports. There are a number of Camilleri’s paintings in the museum, many donated by families from Camogli and most of these are in excellent condition. 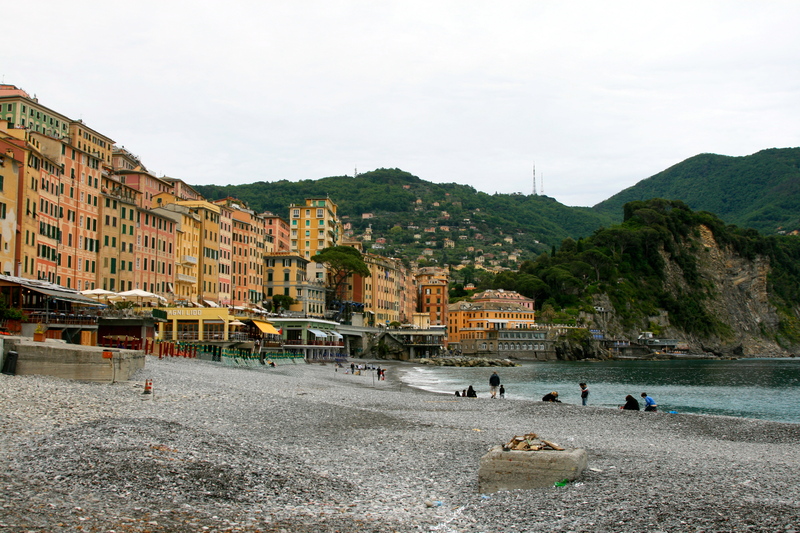 Where to eat: Just like in most places in Liguria you will find many Focacceria’s in Camogli. We tried Vento Ariel which overlooks the harbour. The food here was excellent. The menu changes according to the season so you are bound to experience different dishes whenever you go. The children devoured the Ligurian pasta (trofie) with freshly made pesto and I still remember a pate made with cuttlefish and anchovies which are a speciality of the region and the restaurant. The pasta with seafood and fresh fish were also extremely good as was the wine we drank from Azienda Agricola Pino Gino. Semmu Friti, on the way down to the fishing village is a small takeaway serving, as the name suggests, typical Ligurian deep fried dishes. Here you will find delicious frittelle di baccala, stuffed anchovies and even the traditional ‘farinata’ made with chickpea flour. The deep-fried calamari is also exceptional. What to do: Just stroll around the seafront, visit the touristic boutique shops and sit and enjoy the sun. Visit the Maritime Museum. Walk on the pebbled beach or take a boat ride to neighbouring Portofino or San Fruttuoso, the latter only reachable by sea. In a recent article in the FT food and drink section Ruth Rogers of the River Cafe mentioned da Laura, on the beach of San Fruttuoso as one of her favourite restaurants in the world. Clearly something to remember for my next visit to Liguria. There is nothing more pleasant for a wine ‘amateur’ then to close ones eyes and judge a wine on its own merits without looking at what wine critics have to say about the wine or the price. Nothing beats a surprise. This can come in the form of a supposedly inferior wine surpassing ones expectations even when compared against a more expensive or prestigious wine. Or else it can come from discovering a new grape variety or a region which you have not heard much about. In today’s globalised world where wines from pretty much everywhere can be bought locally, it is becoming harder to discover new wines when you travel to specific regions. Wine is not just about sharing a moment, it is also about breaking misconceptions or prejudices. Nothing is more true than for Ligurian wines. Look into any wine magazine or book, including renowned wine encyclopaedias and you will barely get a mention of Ligurian wines. It is as if this region in Italy has been completely overlooked. Surprising, given that it borders Piemonte and Tuscany, the two giants of Italian wine. My first taste of Ligurian wine was a Pigato from the west side of Liguria which we tried at Balin Cuisine in Sestri Levante. It was a great match to a fish based meal but what made us sit in awe was a wine which the owner of the restaurant opened at another table. True to his nature, seeing we were interested, he came and poured us a glass. It was an aged Vermentino Etichetta Nera (Black Label) from Cantine Lunae which had incredible complexity. He told us that he was also surprised at how well this white wine could age. From there, the next morning I immediately headed to the main wine shop in Sestri Levante to discover more wines of the region. There I was told the secret as to why Ligurian wines do not travel the world. 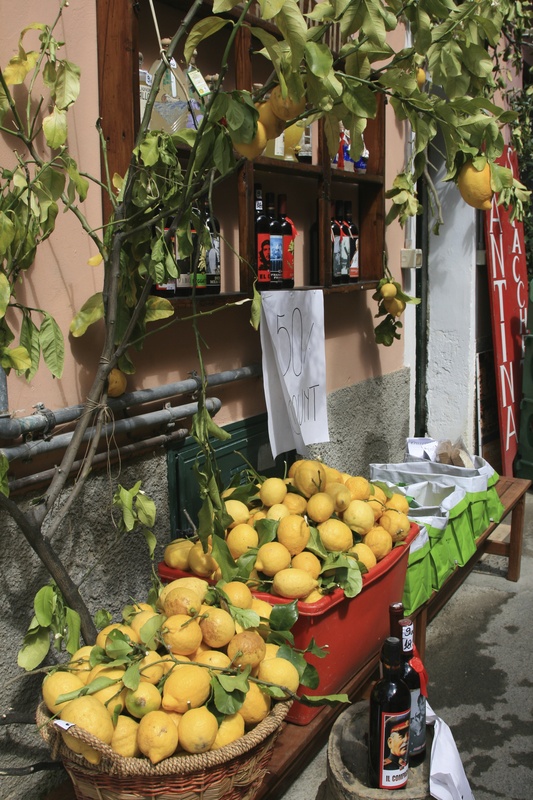 Ligurians and tourists who head to the region consume most of it. Sometimes, stocks are already exhausted before the summer approaches. Then there are the tourists who visit the region by car and take these wonders home to remind themselves of the beauty and splendour of the region. What makes the white wines special, at least the ones which I have tried, is the fact that the Vermentino grape is very difficult to grow. But here, and in particular in the area close to La Spezia (where the Cantine Lunae come from) and the Cinque Terre, the location of the vineyards perched on the cliffs overlooking the Mediterranean sea are protected. Moreover, there is a pronounced minerality to the wine (nearly a salty sensation) making this a perfect wine to sip either before dinner as an aperitif or else in combination with fish and shellfish. Then, what can I say about the Sciacchetra, the sweet white passito wine from the spectacular Cinque Terre tasted for the first time in a bar overlooking the beautiful town of Rio Maggiore and the cliffs which make the Cinque Terre so special. Bosco, Albarola and Vermentino grapes are used to make these wines, the same grapes used to make also the excellent dry counterparts. 1. Cantine Lunae Colli di Luna – Vermentino Etichetta Nera – The Colli di Luna area borders Tuscany. 2. Costa de Sera – Litan – a fabulous white wine grown on the hills of Rio Maggiore look at their website to see the location of this incredible vineyard. Made in small quantities if you find it, don’t hesitate to try it. 3. Cantine Lunae Colli di Luna – Auxo, a very interesting blend of Sangiovese, Ciliegiolo and Canaiolo. Incredible price/quality ratio. 4. Clan du Corsu – Sassarini. If you cannot find the Costa de Sera, this is a great wine to discover what wines from the Cinque Terre area are all about. 5. Az. Agricola Pino Gino Missanto – a blend of Bianchetta Genovese and Vermentino grown in the vineyards on the hills above Sestri Levante in Castiglione Chiavarese. 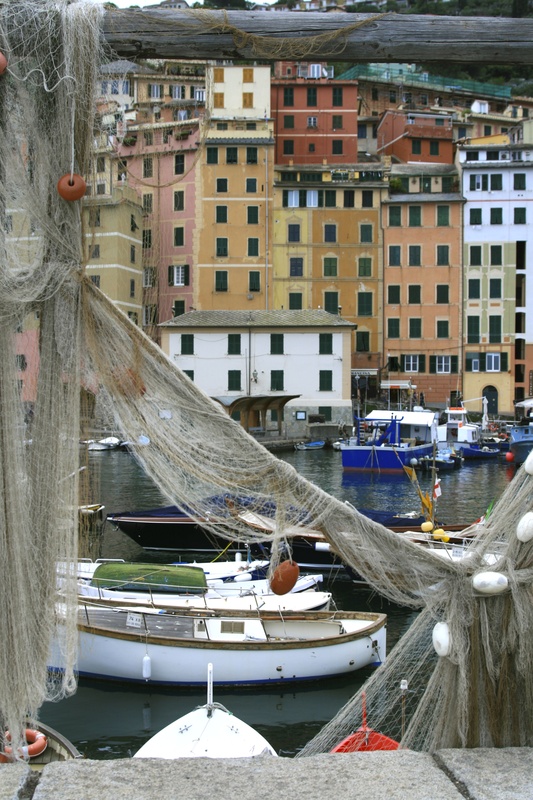 Liguria has undoubtedly become one of our favourite regions if not the top destination. There is so much going for the region, it is by the sea, it has a stunning landscape, picturesque towns and seaside villages, fantastic cuisine and also hills and mountains in the backdrop which at times reach the sea making for a spectacular setting. Sestri Levante, formerly a fishing village just 50 kilometres away from Genova, is the holiday destination of the Milanesi. This town is both beautiful and full of life. It is a great place to laze about, walk up and down the carrugio or main street, sip an espresso in one of the many bars or relax with stunning sea views on the two sides of the town. The restaurants and bars are busy starting from the late afternoon serving aperitivi and nibbles, and the main street of Sestri is full of boutiques which remain open until late. 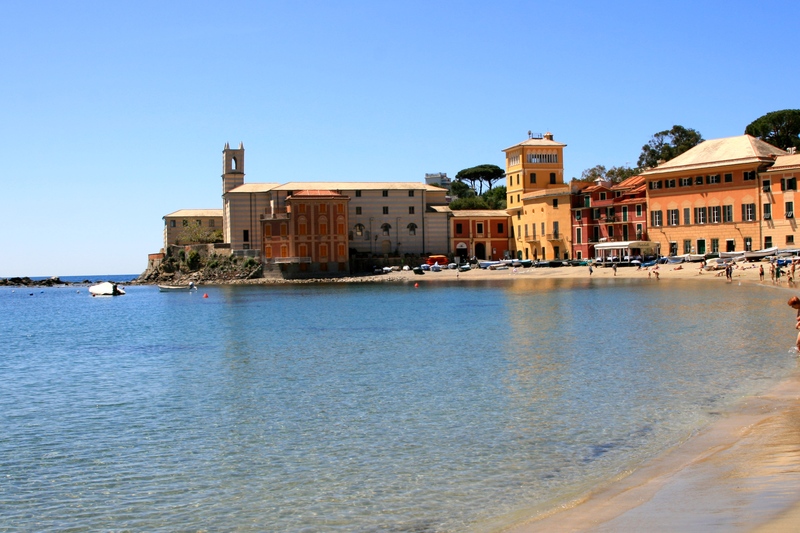 Sestri Levante is a perfect base for discovering the wonders of Liguria. The most well known sites are the Cinque Terre and Portofino and most tourists actually miss some of the most picturesque and quaint towns and villages along the Ligurian coast. What we particularly like about Sestri Levante are the two bays, the Baia delle Favole or (Bay of Fairy Tales), and the Baia del Silenzio (the Bay of Silence), both stunning in their own worth. The Baia del Silenzio is hidden just off the main street of Sestri and you will be surprised by its beauty the first time you see it. You will want to return time and time again whatever the time of year. On the other side, the Baia delle Favole is a one kilometre beach with a splendid view of part of the peninsula where Sestri is located. 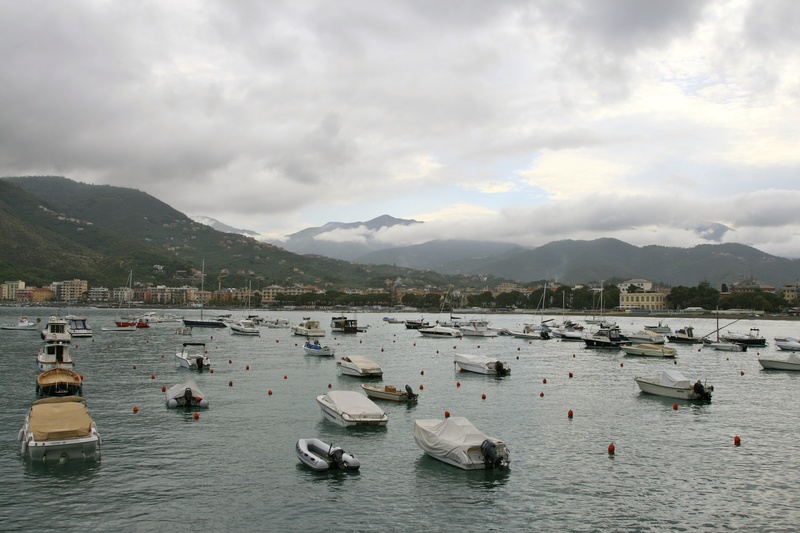 Sestri Levante, in our opinion is also a good base away from the tourist locations of Portofino and the Cinque Terre. You can drive around by car in Liguria but the train which goes along the coastal towns and villages is also incredibly efficient and probably the easiest way to visit the CInque Terre (apart from using a boat). From here you are practically halfway between Genova and La Spezia and only kilometres away from Chiavari, Zoagli, Rapallo, Camogli, Santa Maria Ligure, Portofino (more about these places and Liguria in general in another blog post). In Sestri Levante, you would do well not to miss Balin Cuisine. While not on the cheap side, this restaurant immediately struck a chord because like me the owner and chef is obsessed with food and the provenance of his ingredients. The menu is limited and depends on the fresh fish he finds at the market. He uses top quality condiments like the splendid Ligurian olives (taggiasche olives) and exceptional Ligurian olive oil. If you are not into fish, he has mouth watering Chianina beef from Tuscany. His fish soup is exceptional, as are his pasta dishes and incredibly fresh fish but let him guide you and you will definitely not be disappointed. For a quick coffee, the Cafe Centrale is a must. Inside, it feels like time has stood still and you can sit on the covered terrace sipping your coffee or aperitivo and reading a newspaper from one of the newsagents closeby. You will also find the international press here. His ice-creams are also exceptional so this is a place to keep visiting time and time again. Just a few metres away from him is a very good enoteca or wine shop. Enoteca Grazia is a treasure of splendid Italian wines from some of the best producers around Italy. Here you will find an excellent selection of top quality Ligurian wines as well as wines from all Italian regions. One recommendation – if you are going by car, make sure to leave space in the boot because the temptations in this wine shop are huge. An institution in Sestri Levante and even known outside the region is the bakery Panificio Tosi which makes exceptional focaccia, a Ligurian bread speciality. I would recommend a selection of different focaccias including the traditional one with salt and olive oil, the one with onions which is delicious as well as the one with tomatoes (which resembles a pizza) and the famous Focaccia al formaggio di Recco (which is a thin sheet of dough covered with a creamy cheese). His farinata, also a regional speciality made with chickpea flour is also to die for. Tips: If you are there in summer and want to avoid the heat at least on one day head to the entro terra or (hills). One place to stop on the way to Varese Ligure (considered as one of the best small towns of Italy), is Castiglione Chiavarese, a very small village which is also famous for its salami made by the renowned butcher in this hilltop village. At Varese Ligure eat at the the Vineria del Borgo, a small wine bar just off the main square with a great selection of wines. The owner is extremely well versed in wines and they serve excellent food for very reasonable prices. The pasta with pesto and with the walnut sauce were excellent as were the home made sausages cooked in white wine.